€20 deposit is required when booking a place. Also the option of flying with Aer Lingus for €98 at roughly the same time. Check Aer Lingus for details. No Metro to/from the airport, service only by bus. am to 12:00am at 1 -3 minute intervals. 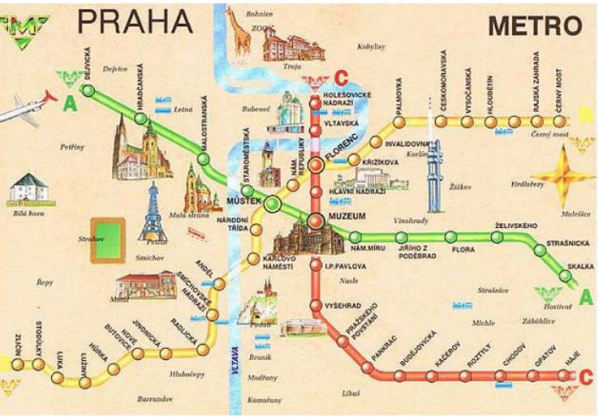 Cost: Single 30 minute journey ticket: 24 CZK/ €0.90 – cost of public transport will be covered in the tourist card. total cca 30-40 min to get to the hotel. Discounts to 30+ more attractions, restaurants, pubs, etc. Can be exchanged over there at a special rate with the tourist card, however I would recommend exchanging money before we depart. If you plan to use your bank cards, check that there's no bank charges. Check into hotel and allocate rooms. Day 2: 11th January 2016. 2 hour bus tour taking in the sites of Old and New Town Prague. Picks up and drops of in Old Town Square. Day 3: 12th January 2016. Day 4: 13th January 2016. Day 5: 14th January 2016. I’ve applied for a grant and hope knock this down to €160 - 180 all inclusive. Any questions please don’t hesitate to ask. I’d be happy to help.